We were approached by a customer who was looking for a good way to transport Wargame Miniatures. There are various products on the market for transporting miniatures, but none quite suited their needs. 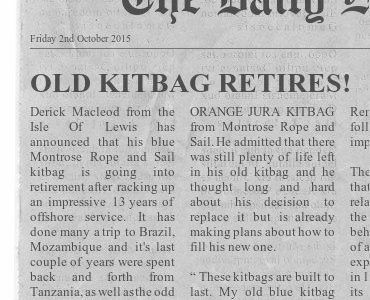 Derick Macleod from the Isle of Lewis has announced that his blue Montrose Rope and Sail kitbag is going into retirement after racking up an impressive 13 years of offshore service. 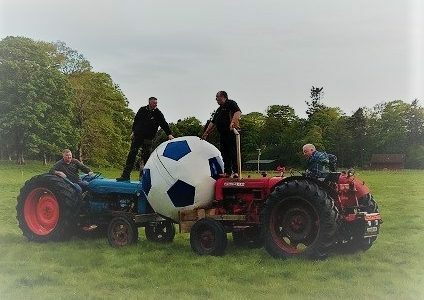 It has done many a trip to Brazil, Mozambique and it’s last couple of years were spent back and forth from Tanzania, as well as the odd trip to Norway, Aberdeen and exotic Peterhead.